Sale includes fiction and non-fiction books. Fri., Sat. and Mon. 10 a.m.-5 p.m. and Sun. 2-5 p.m. Library foyer, Evans branch. Event includes Tail-a-Thon, dog grooming and reduced adoption fees with approved application. 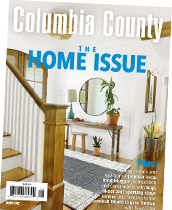 10 a.m.-3 p.m.
To have your event considered for publication, please submit materials to info@columbiacountymag.com. All listings require a two-month lead time.